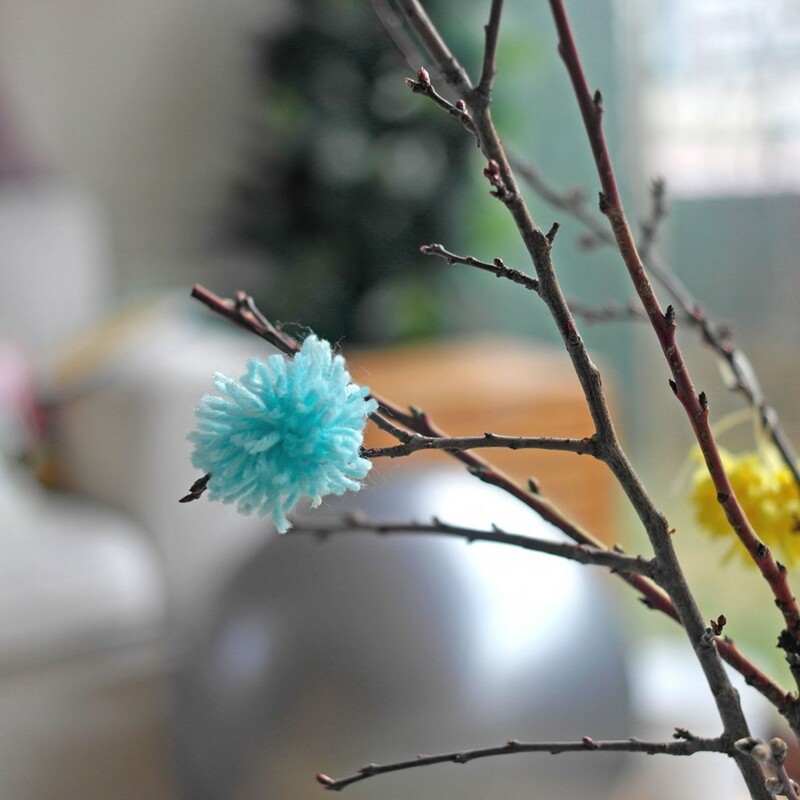 A very simple and original decor from branches that you can find on a walk, decorate your home and create a truly spring mood. 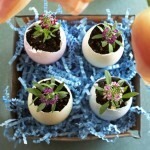 And maybe even this bouquet will serve as a gift to someone close to a bright spring day. 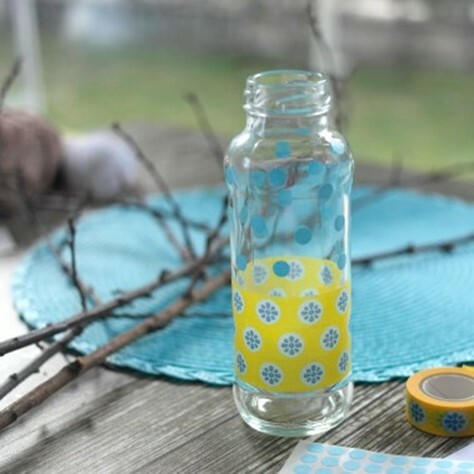 Decorate the bottle with colored tape and stickers. 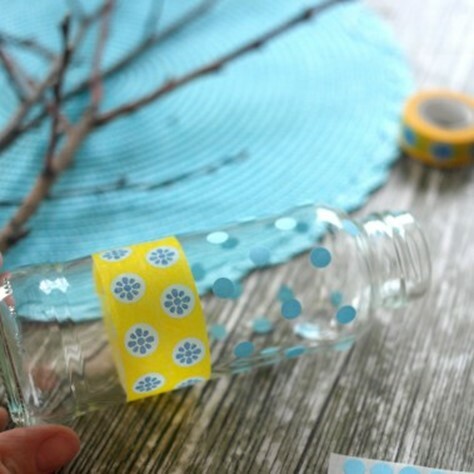 If you did not have this on hand, you can decorate with ribbons or colored paper. 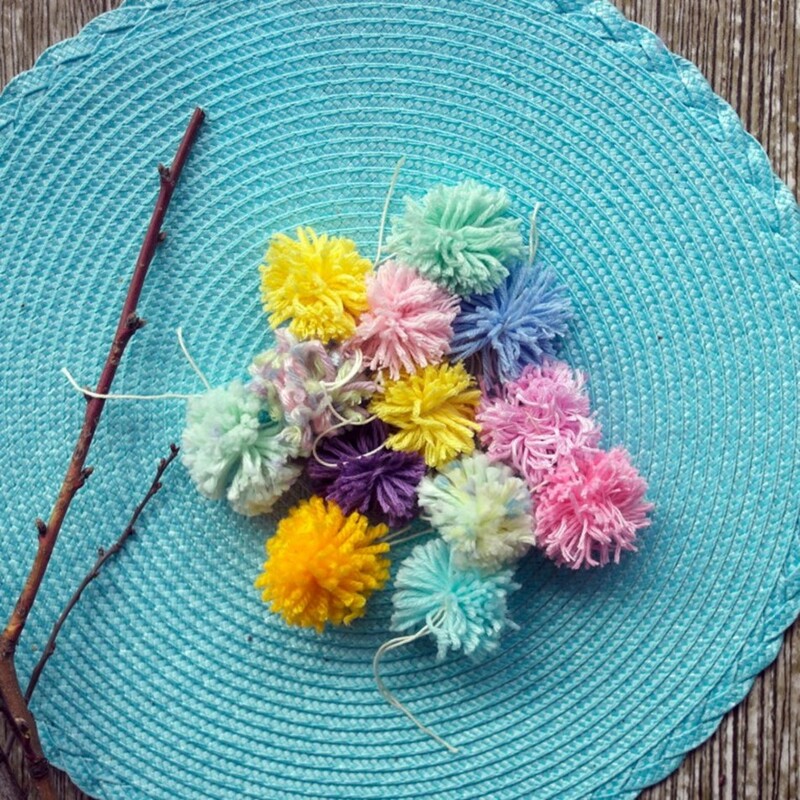 Begin to make pompoms out of yarn. For this you can use special devices (sold in stores crafts) or circles out of cardboard (you can find videos on the Internet). 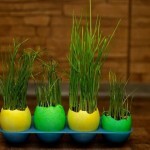 But you can make them with your fingers, especially because pompoms we will need a very small and not very fluffy. Wrap the yarn around two fingers of left hand, the thread is not contractible, it is possible to separate the fingers so that then they could pull out. Count the number of turns that the pompoms were all the same. Take the additional thread length of about 10 cm (4 in ) and then thread between two fingers to anchor in the middle of the skein. 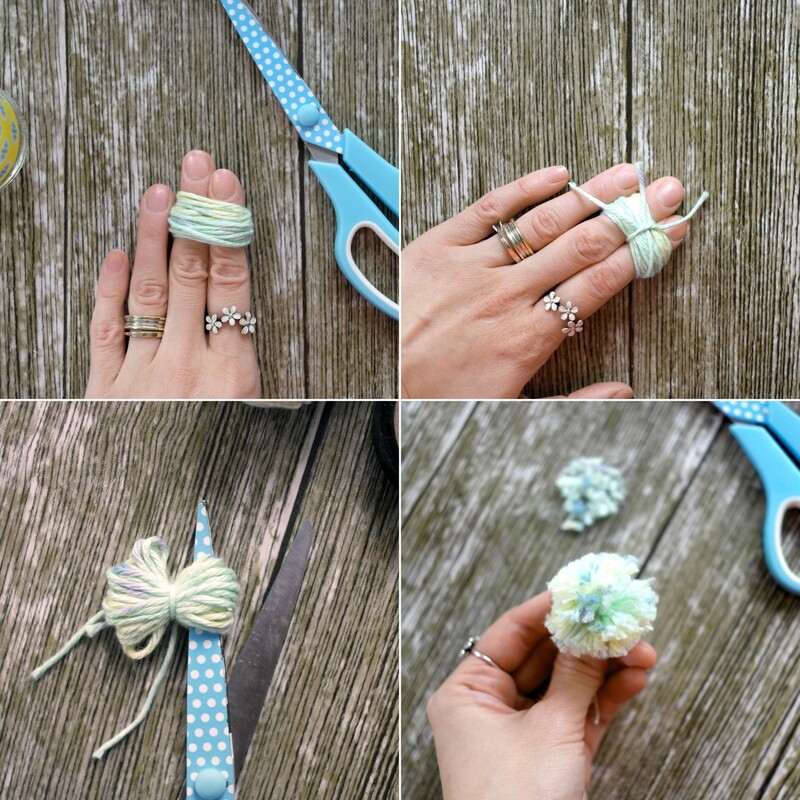 Carefully take out the fingers, strongly contractible auxiliary thread and tie in a knot. Cut a coil on the right and left side of a node. 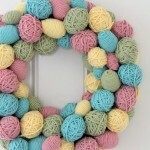 Straighten pompom and cut, giving the shape of a ball. 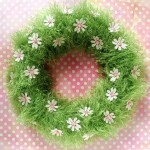 The additional thread is not cut off, we will strengthen the pompom to the branches. 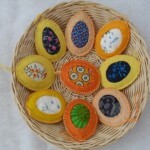 Make about 10-12 pompops assorted colors. 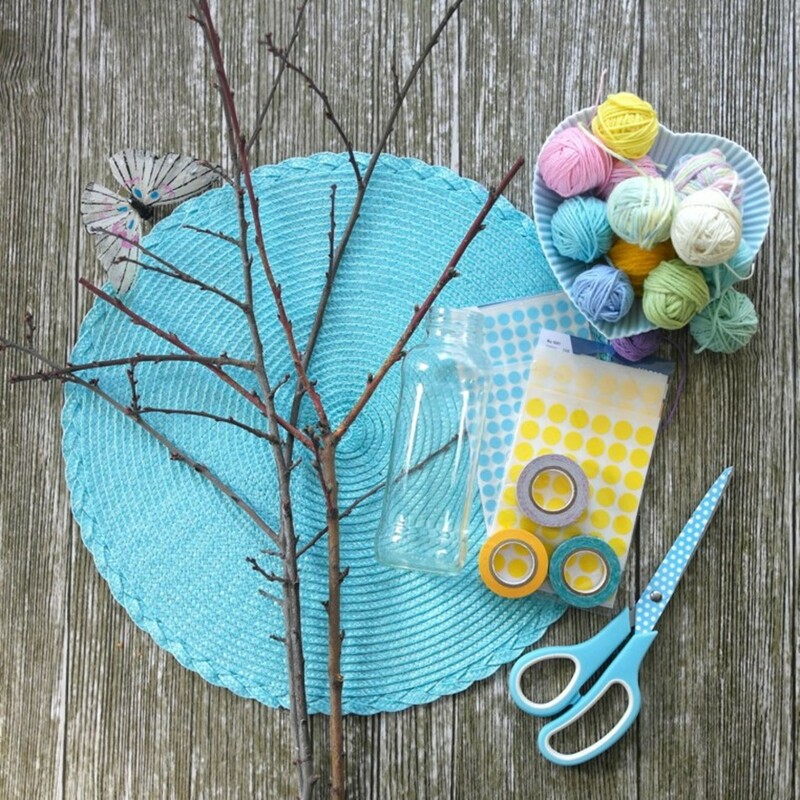 Tie the pompoms on the branches in a chaotic manner and cut the ends of the auxiliary thread. 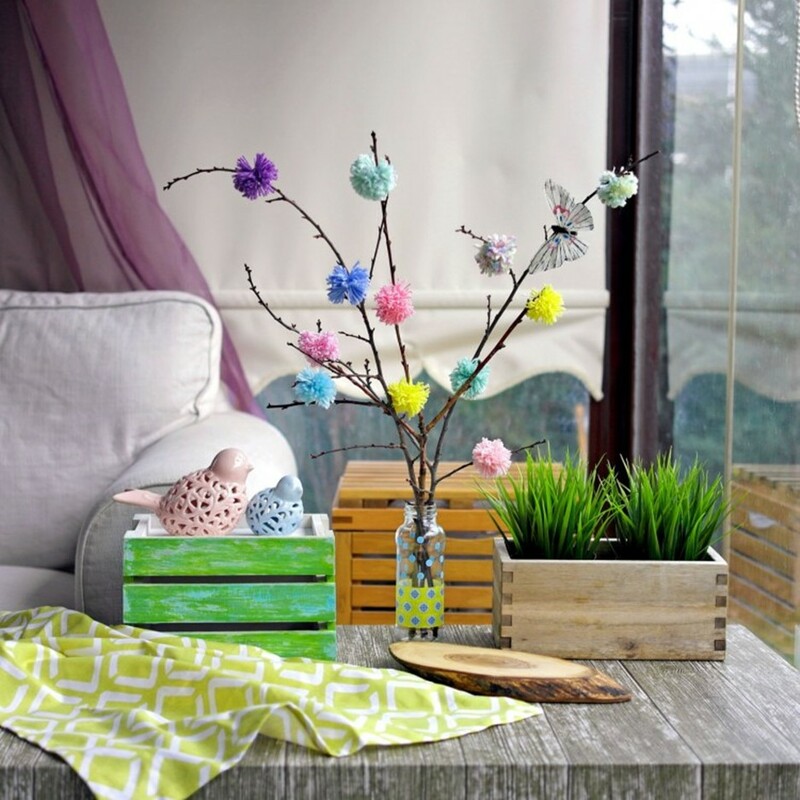 Put the vase on the table, add the right accessories and enjoy spring!